popsonhops.com | Page 2 of 220 | One Dad's Craft Beer Blog.popsonhops.com | One Dad's Craft Beer Blog. | Page 2 popsonhops.com | Page 2 of 220 | One Dad's Craft Beer Blog. The Arizona Wilderness of Beer A sparse craft beer landscape? Beer-wise, we certainly are spoiled in the northeast. While the rest of the country jealously pooh-poohs New England style beer as being too hazy and too modified, we just shrug and go on enjoying fantastic juice bomb after juice bomb. 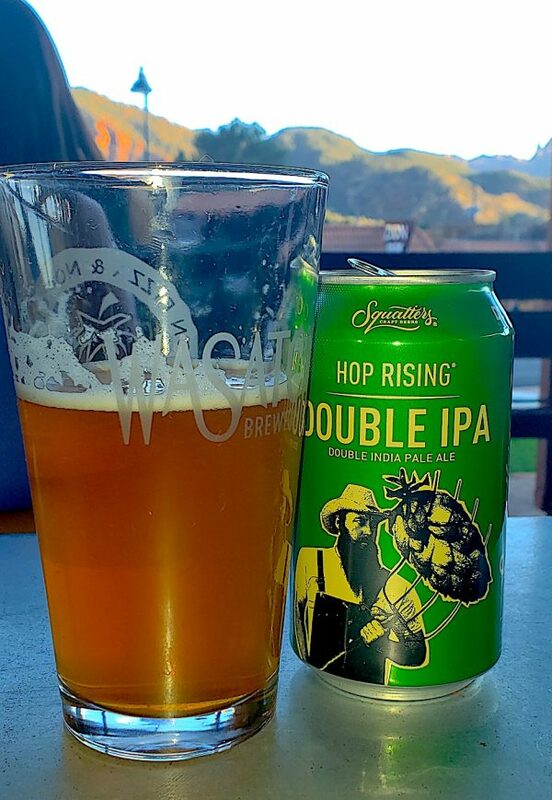 A recent trip to Arizona and Utah took me back in time to a craft beer landscape filled with west coast style IPA complete with crushing bitterness. What’s the difference between a west coast and a New England style IPA? Read Here for the Differences. 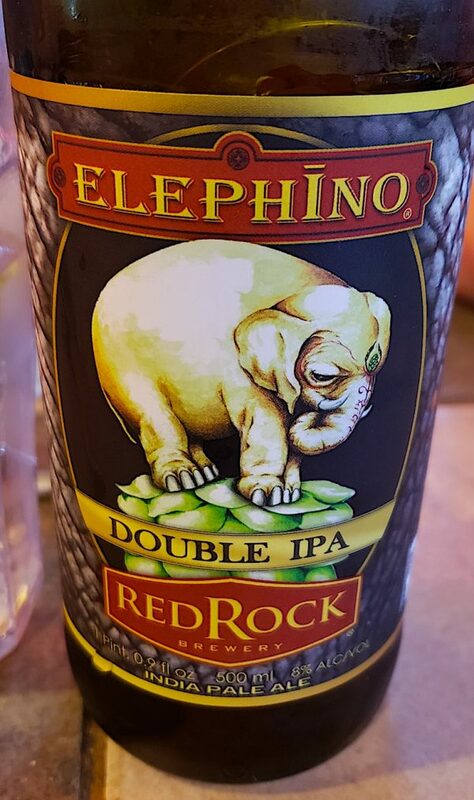 A few weeks before our trip, a friend in Phoenix asked me about the best beer in Arizona. Arizona Wilderness was the name that came up most often in my pre-trip scouting report and on arrival in Phoenix, my friend gave me enough of their beer to carry me through my ten day adventure. 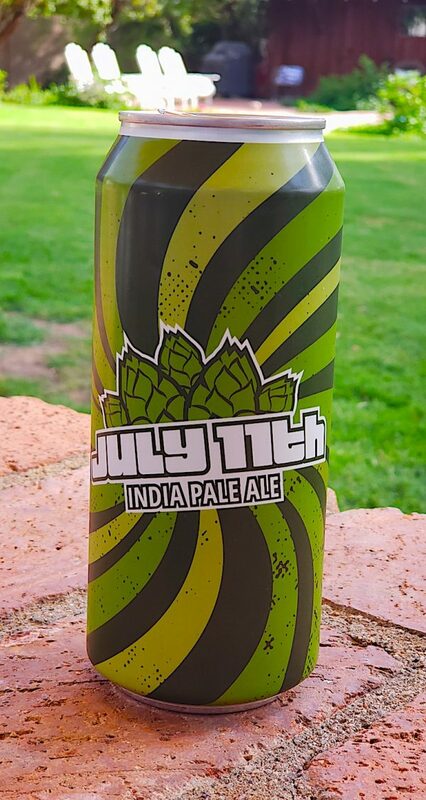 July 11th IPA is quite interesting. 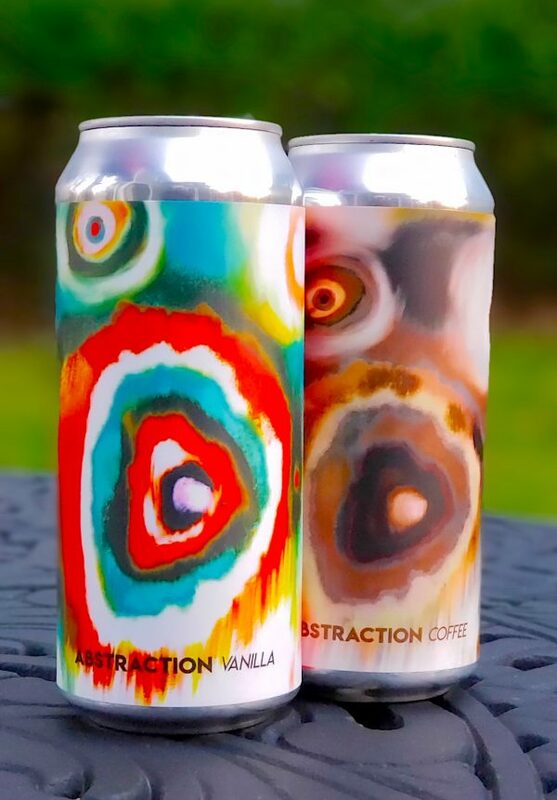 It’s a collaborative brew with Cycle Brewing (Florida) and this particular IPA is brewed with lactose and dragonfruit. It pours a pinkish color and is certainly cotton candy sweet over some succinct juniper hops Not quite the milkshake beer they claim it to be, but enjoyable nonetheless. In conclusion, the trip is off to a good start, 88 points. Next Stop: Petrified Forest, Painted Desert, Route 66 and Winslow. Sometimes the events shape the experience. Here we were in Winslow, Arizona staying at La Posada (a must stay if you’re driving on Rt. 66 or visiting the Petrified Forest & Painted Desert). After a long day, my family was starving and we spied a little Mexican restaurant kitty corner to the hotel. As soon as we enter, Avengers: Infinity War is just starting on the restaurant television. My sons are pried to the screen the whole meal. Me, I’m partaking in some enchiladas and this west coast style IPA. Very straightforward but like La Posada, from a bygone era. 86 points. 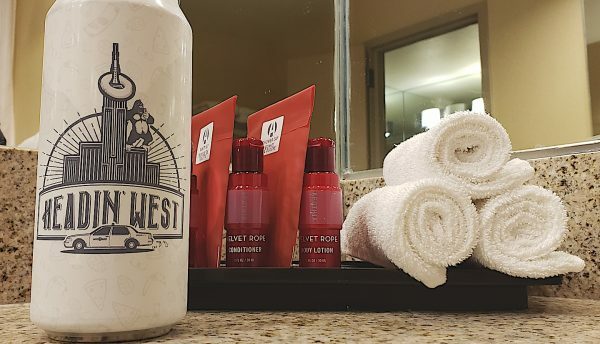 Rainy evening at the Grand Canyon calls for a hotel room beer. Headin’ West yields yeasty clove, spice, wheat. Tons of pine and some cracker-like grains. I’d say this Belgian-style beer is a mediocre 84 points. After a couple days in Page, Arizona, it’s on to Zion National Park. My son’s 14th birthday so he picks the dinner spot. He picks pasta (what else) and it’s back-to-back nights at Zion Noodle & Pizza (I highly recommend). This is a hefty 9% ABV and is certainly old-school west coast style. Filled with caramel, overdone toast, citrus rind and a boozy burn to boot. Really not bad but I’m starting to miss the juice bombs of the northeast. 86 points. From night number one at Zion Pizza & Noodle. This one is just bad. Checking the date, it’s about three months old which is borderline drain pour in my book. Oxidized hops, doughy and boozy. I call them as I have them…70 points. Luckily, my pasta dish carried the meal. Fermentaria? Brew Cafe? General Store? Dispensary? Where do I go to buy some Tired Hands cans? Honestly, I was a little perplexed until I decided to go there and figure it out for myself. Hopefully, I can detangle some of your questions. Want to buy Tired Hands cans? 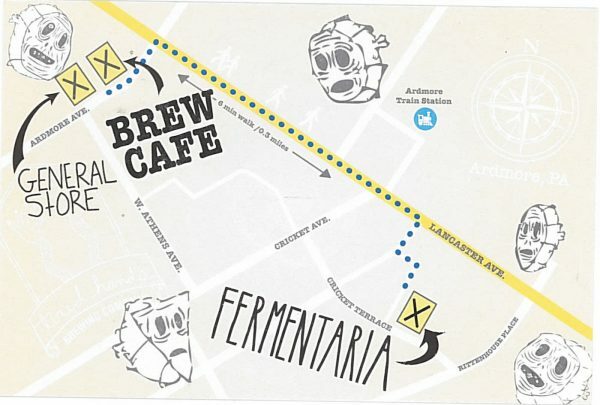 The Fermentaria is the main hub and that’s the place for can releases. The Fermentaria also has a full menu of food and drafts. If you want the flag ship pale ale, Hop Hands, it’s a six minute walk or three minute drive to the General Store from the Fermentaria. The Brew Cafe is right next door to the general store. Think coffee shop except with beer. The Dispensary is the brew house, except the location is unadvertised. Your first stop is to follow Tired Hands on Instagram. Like most of Instagram, it’s hard to decipher the time of the post. 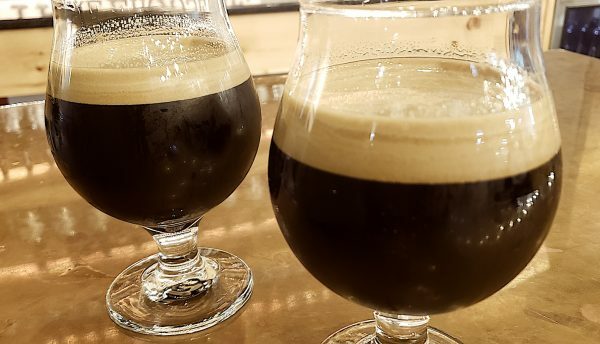 From what I’ve seen, releases occur mid-week on Wednesday or Thursday at the Fermentaria, typically at 5 p.m. and of late it has been three different beers. I’ll also note that some (non-milkshake) beer will be available into the next day. So, if you cannot make it for the 5 p.m. release, be sure to get the Fermentaria around opening on the next day (they open at noon seven days a week). Fermentaria: 35 Cricket Terrace. 484.413.2983. There’s a decent amount of parking right in front. I’d guess about fifty metered spaces. I parked a block away on the street and fed the meter. Don’t worry, it’s a city grid town and you’ll find a spot and a sidewalk. General Store: 20 Ardmore Avenue. 484.413.2978. No limit on Hop Hands. They may move some cans from the Fermentaria to sell after release day. They also have some bomber-size bottles of Saison for sale along with typical t-shirts, hats and decals. Parking is rough. There’s a dirt lot, but most of the spaces there are permit only. If it’s a nice day, bring a suitcase trolley and make the six minute walk from the Fermentaria. It probably took me 15 minutes to drive there and ultimately find an open spot. BrewCafé: 16 Ardmore Avenue. 610.896.7621. Site of the original brewery. It’s small and opens up at 4 p.m. No cans, but drafts and a cafe menu. Tired Hands (l to r) Alien Church, Hop Hands, Ergot, Gatherer and Hand Bier. If Hop Hands is their flagship pale ale, I guess Alien Church would be their flagship Imperial IPA. Wonderful fruit, lemon, mango along with a pithy bitterness. Really nice 92 points. Hop Hands: I’ve had Hop Hands 89 points before but a first in cans. Actually, I enjoyed the can version better than the growler experience. If I had to go it over, I might push Hop Hands up a couple ticks to 91 points. Tired Hands teams up with 18th Street Brewery (maker of a stout called Hunter) on a seemingly related stout called Gatherer. In the Tired Hands version, it is a brew made with locally foraged items like: Appalachian all spice; wine berry leaves, This one is very interesting but overrun with the all spice. Like a pumpkin stout. As it warms is does open up to some interesting coffee, roasted flavors. I’ll say 90 points. A sessionable ale…just 4.5% ABV. It’s typical with big hop profile, not much balance behind it. Nothing wrong with taking a break from the high ABV beers and nothing wrong with this beer. A respectable 87 points.